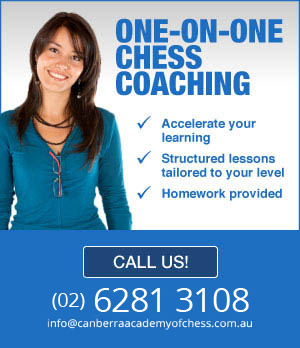 A couple of years ago, WIM Laura Moylan, FIDE Master Brett Tindall and a group of other Sydney Academy Of Chess coaches got together to explore methods to improve coaching techniques. 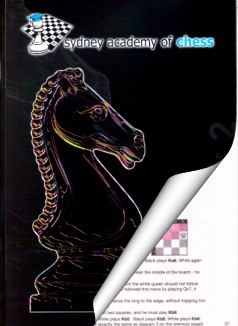 A few ideas were sketched out and one of them, on top of the list, was to produce a workbook which would help kids to learn chess a little bit quicker. The book is filled with coloured diagrams, arrows, highlighted squares. The lessons have to do with the topics covered during our live lessons at schools. The book combines both explanations and puzzles to confirm that the student has actually understood the topic. The pricing is very reasonable: $22 per workbook, or $35 for both. The first Workbook worked so well that the team sat down again and started working on the second volume, which is a little bit more advanced. Our coaches often spend time correcting the student's answers. We know the topics, we actually wrote them! NEW! 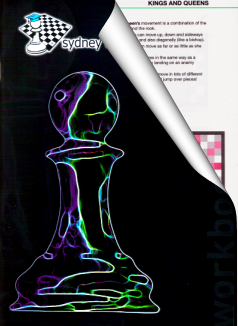 Advanced book, "Exploration in Chess Beauty" by IM Andras Toth is now available for purchase for $33. If you would like to order either of our two workbooks, or the Advanced book, please visit our online shop.